TAB annually recognizes Associate Members who provide outstanding products and services to the Texas broadcast industry. This year’s award recipient continues to support Texas radio and television stations with his learned knowledge and legal expertise. David Oxenford is a partner at the Davis Wright Tremaine law firm in Washington, DC. He graduated from the College of William & Mary in 1977 with a B.A. in Government and Philosophy. In 1980, he received his J.D. from the Emory University School of Law. While he was a student at William & Mary, Oxenford began working at the college radio station and later became the general manager. He was interested in owning a station, but decided to take a different route focusing on the legal aspects of broadcasting. 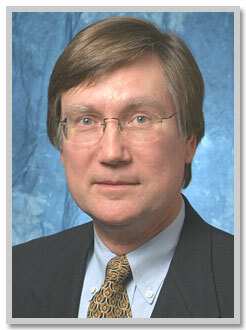 In 1980, he became an associate and then partner with the Fisher Wayland Cooper Leader & Zaragoza law firm. Fisher Wayland was the main communications law firm for most of the state broadcast associations. He stayed with the firm for 20 years and continued when they merged with Shaw Pittman. In 2006, he took a position with the Davis Wright Tremaine law firm to continue his passion for working for broadcasters and first amendment rights. His clients include Buckley Broadcasting, Connoisseur Media, Drewry Broadcasting, Educational Media Foundation, the Mid West Family Stations, the National Association of Media Brokers, Triad Broadcasting, Bryan Broadcasting and numerous state broadcast associations. He is most proud of the relationships he has established with broadcasters across the country and enabling them to grow their businesses. “Texas broadcasters are very dynamic and committed to progress. They are cutting-edge leaders in the industry,” he said. Oxenford also represents digital media companies, including a number of Internet radio companies. He represents these companies before the Copyright Office, the Copyright Royalty Board, and other government agencies, and he advises them on music royalty issues as well as other general business and regulatory matters. Named as one of the “Best Lawyers in America” in Communications Law for 2011, Oxenford has devoted his career to defending and advancing the causes of the broadcast industry. Oxenford’s updates and advisories as well as his Internet postings are regularly published by various associations and trade publications. He is a regular speaker at the TAB Convention as well as national broadcast, webcasting and music conferences. Many broadcasters consider his excellent communications law blog – www.broadcastlawblog.com – to be one of the most highly-respected sources of learned opinion and insight available to the industry. He makes it available for everyone – all free of charge. The TABulletin regularly uses portions of the blog in FCC-related articles. Other industry trade magazines such as Broadcasting & Cable and industry websites do the same, and there’s a reason why. He has a talent for taking a complex technical or regulatory issue and explaining, in an easily understood fashion, how it could impact a broadcaster’s day-to-day operations. If there’s an FCC ruling and fine, Oxenford demonstrates why there was a problem and offers tips and considerations for other broadcasters to use to avoid similar situations. He also has a knack for being prescient on how new technology, legal rulings and business practices could affect broadcasters, and freely shares his views on such. TAB’s 2011 webcast on privacy issues affecting broadcasters is a good example. Oxenford explored not just the “ traditional” privacy issues broadcasters must contend with (such as those involved in newsgathering and on-air broadcasts), but also the issues arising from other technology that stations use daily such as phones, fax, emails, texts, tweets, social media and station websites. He has presented seminars and webcasts on the FCC’s EEO rules; broadcasting and music law; political broadcasting; privacy issues in broadcasting; legal and technical online streaming issues; legal issues regarding station websites; and public interest obligations, just to name few. Oxenford has a “can do” spirit and when he commits to a project, he sees it through, even if there’s bad weather involved. A few years ago upon returning from an international trip, a bad snow storm threatened to strand Oxenford at a New York airport, but he assured TAB that as long as he had a working phone, he would make a previously scheduled webcast…even if it meant he couldn’t see his powerpoint slides. Thankfully, it didn’t come to that and the webcast came off without a hitch. He has been presenting in-person TAB seminars on political broadcasting since the early 1990s and twice endured multi-city tours of the state to update broadcasters on the FCC’s regulations. As a result of those seminars, no Texas broadcaster has been fined on an FCC political broadcast regulation violation for more than two decades. “David continues to be most generous with his time and expertise,” said former TAB Chairman Ben Downs. “While most attorneys guard their time closely, David has always returned calls from staff and member stations without consideration for billable hours.